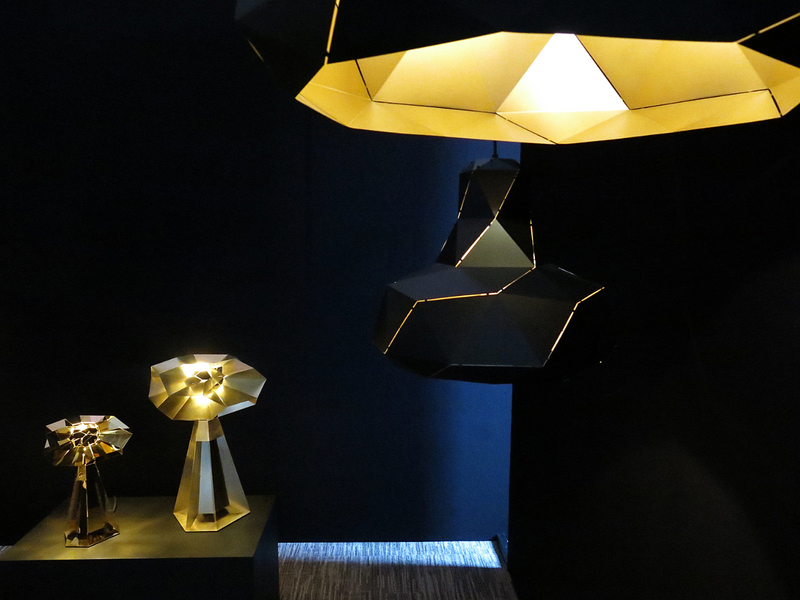 Light designer Marc de Groot took part in the exhibition Enlightened Design III during the London Design Festival 2018 in the Olympia Room together with Jacqueline Harberink, Alex Groot Jebbink, Jesse Visser, and Margaret van Bekkum. 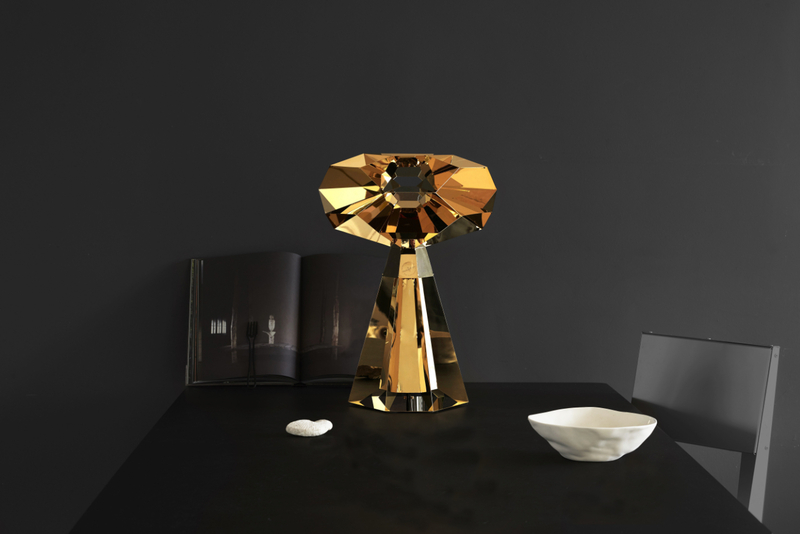 Product designer Marc de Groot incorporates structures derived from nature and perfect mathematical figures, such as the hexagon, into his spatial lighting designs. The latest members in the Fractal family are two chic, shiny brass lamps that have been gilded with 24-carat gold. In addition to these golden Dubai Edition versions, he is showing a number of versions made of brass, a material that the designer believes ages beautifully: ‘It gracefully ages in time’. The title of the series, Fractal, refers to the name of the geometric figure that is made up of parts that are more or less uniform with the figure itself. As an interior, urban, and graphic designer, De Groot brings together all these disciplines in his work. He combines nature and mathematics by theorizing reality and mixes artisanal craftsmanship with modern techniques. Because there is no design software that produces the same result, the designer translates his traditional sketches on the computer, which creates a unique personal signature. With the results, he forms paper models, an empirical process that continues until he has found the right proportions. He then has the figures laser cut from a metal plate; from repetitive simple hexagonal forms, he creates a complex constellation that he assembles like a visual, mathematical puzzle and connects them with a specially developed hook and slide system. The painstaking work that the designer puts in to create his designs may be seen as a form of metal origami. But De Groot prefers to think of it as slow design that alludes to Japanese precision. The atmospheric architectural Fractal lamps come into being slowly and thoroughly and are meant to last for a long time.